Installing granite countertops is not a project for the do-it-yourself homeowner. 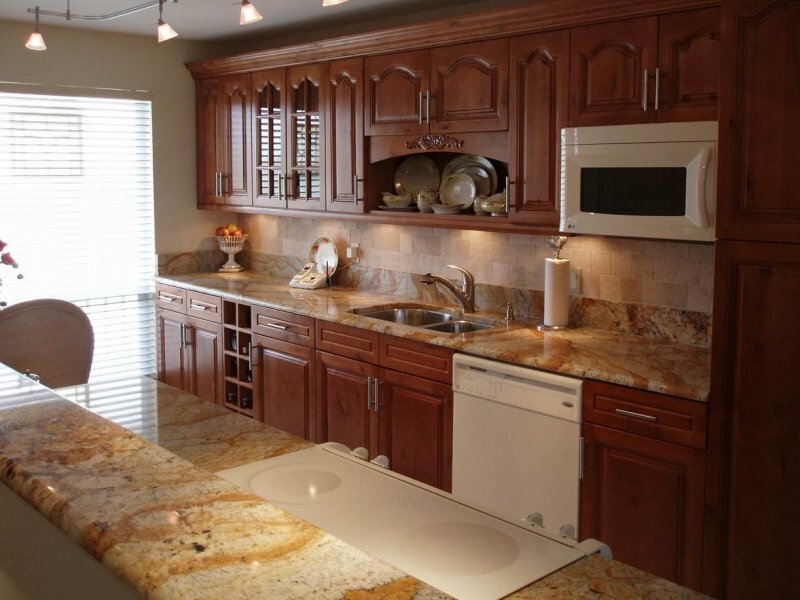 Tampa Granite Direct is ready to help you through the installation process with excellent service at wholesale prices. Before the process of installing granite countertops can begin, range tops, the sink and old countertops must be thoroughly removed. The precise measurements for the cabinets will be used to create templates of the counter. Although slabs are carefully cut, there may be high and low spots on the bottom; therefore, leveling is an important step of the preparation process to protect the stone. The positioning of electrical outlets, the sink, and the faucets will be noted. The back splash is usually made from the same granite used for the counters. It may be attached to the counter or the wall then sealed with caulk. The slab will be precisely cut with a diamond tip saw to fit the templates. The jointing seamswill be sealed and the edge will be treated to the perimeter; then the application of a penetrating sealer and polish will be applied to the surface to show a smooth reflective finish. The expertise required for installing granite counter tops is something you can trust the team at Tampa Granite Direct with to add a valuable addition to your home or business.